Upward Bound (UB) is a federally funded TRIO program that is hosted by Wayne State University and provides a program of instruction, tutoring, academic and career guidance, counseling, and residential life to 150 high school students recruited in the 9th, 10th and 11th grades. These students are potential first-generation, college-bound students who attend designated Detroit Community District Public Schools. Upward Bound is a program for students who would like to go to college but may have difficulty attending due to academic need, lack of financial aid or inadequate high school preparation. The program's goal is to prepare students for high school graduation and college enrollment. The Upward Bound Program comprises of two components: a Summer Instructional/Residential Program where students participate in an intensive six-week academic program on campus at Wayne State University and an eight-month Academic-Year Program where students receive counseling and tutoring services as well as study opportunities at one of three Satellite Study Centers. Study centers are supervised by a coordinator, staffed with counselors and tutors, and monitored by WSU Upward Bound administration. Both components require mandatory participation every year of a student's enrollment in the TRIO Upward Bound Program. 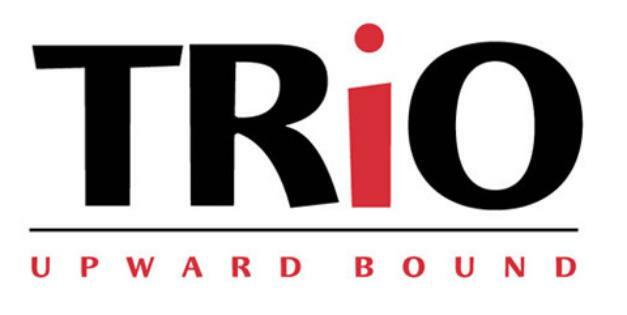 TRIO Upward Bound and its staff strive to create a motivating, supportive environment in which students can learn and demonstrate their learning without fear of failure, loss of self-respect, negative peer pressure or concern for their personal safety. Students must agree to cooperate with program guidelines and make an honest effort to improve their performance by fully utilizing program services.